WASHINGTON Senior Internal Revenue Service officials knew agents were targeting tea party groups as early as 2011, according to a draft of an inspector general's report obtained by The Associated Press that seemingly contradicts public statements by the IRS commissioner. The IRS apologized Friday for what it acknowledged was "inappropriate" targeting of conservative political groups during the 2012 election to see if they were violating their tax-exempt status. The agency blamed low-level employees, saying no high-level officials were aware. But on June 29, 2011, Lois G. Lerner, who heads the IRS division that oversees tax-exempt organizations, learned at a meeting that groups were being targeted, according to the watchdog's report. At the meeting, she was told that groups with "Tea Party," "Patriot" or "9/12 Project" in their names were being flagged for additional and often burdensome scrutiny, the report says. Lerner instructed agents to change the criteria for flagging groups "immediately," the report says. Attorney Jay Sekulow confirmed to CBS News Saturday that IRS targeting of tea party groups began in 2011, CBS News correspondent Chip Reid reports. "When we saw the letters that the IRS had sent to our clients, I was outraged," Sekulow said. As chief counsel of the conservative American Center for Law and Justice, Sekulow has represented nearly 30 tea party groups investigated by the IRS. "It was from coast to coast," said Sekulow. "Saying that this was, you know, low-level IRS employees- these weren't clerks. These were Internal Revenue Service agents that are trained in tax-exempt specialties." The Treasury Department's inspector general for tax administration is expected to release the results of a nearly yearlong investigation in the coming week. The AP obtained part of the draft report, which has been shared with congressional aides. Among the other revelations, on Aug. 4, 2011, staffers in the IRS' Rulings and Agreements office "held a meeting with chief counsel so that everyone would have the latest information on the issue." On Jan. 25, 2012, the criteria for flagging suspect groups was changed to, "political action type organizations involved in limiting/expanding Government, educating on the Constitution and Bill of Rights, social economic reform/movement," the report says. While this was happening, several committees in Congress were writing numerous letters to IRS Commissioner Douglas Shulman to express concern because tea party groups were complaining of IRS harassment. In Shulman's responses, he did not acknowledge targeting of tea party groups. At a congressional hearing March 22, 2012, Shulman was adamant in his denials. The portion of the draft report reviewed by the AP does not say whether Shulman or anyone else in the Obama administration outside the IRS was informed of the targeting. It is standard procedure for agency heads to consult with staff before responding to congressional inquiries, but it is unclear how much information Shulman sought. The IRS has not said when Shulman found out that tea party groups were targeted. Shulman was appointed by President George W. Bush, a Republican. His 6-year term ended in November. President Obama has yet to nominate a successor. The agency is now run by an acting commissioner, Steven Miller. The IRS said in a statement to CBS News and other news outlets Saturday that the agency believes the timeline in the IG's report is correct, and supports what officials said Friday. "IRS senior leadership was not aware of this level of specific details at the time of the March 2012 hearing," the statement said. "The timeline does not contradict the commissioner's testimony. 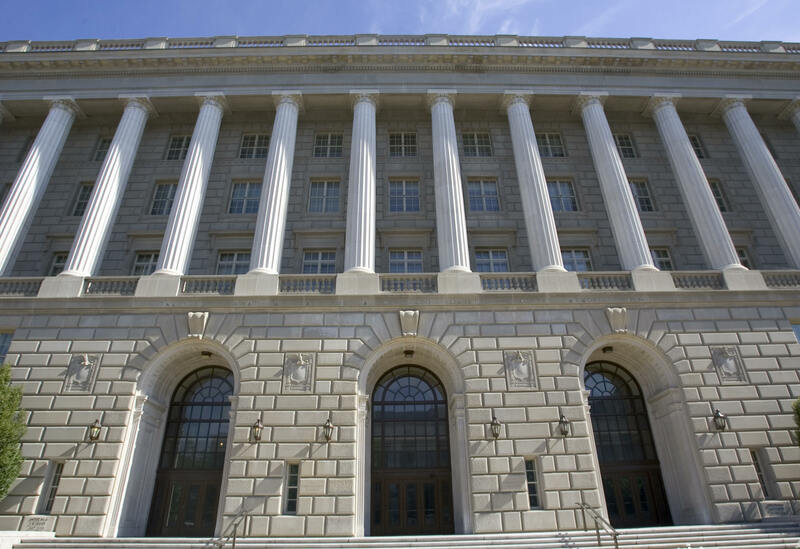 While exempt organizations officials knew of the situation earlier, the timeline reflects that IRS senior leadership did not have this level of detail." Lerner's position is three levels below the commissioner. "The timeline supports what the IRS acknowledged on Friday that mistakes were made," the statement continued. "There were not partisan reasons behind this." Rep. Charles Boustany, R-La., chairman of the House Ways and Means Committee's oversight subcommittee, said the report "raises serious questions as to who at IRS, Treasury and in the administration knew about this, why this practice was allowed to continue for as long as it did, and how widespread it was." "This timeline reveals at least two extremely unethical actions by the IRS. One, as early as 2010, they targeted groups for political purposes. Two, they willfully and knowingly lied to Congress for years despite being aware that Congress was investigating this practice," Boustany said. "This is an outrageous abuse of power. Going after organizations for referencing the Bill of Rights or expressing the intent to make this country a better place is repugnant," Boustany added. "There is no excuse for this behavior." "The admission by the agency that it targeted American taxpayers based on politics is both shocking and disappointing," said Rep. Dave Camp, R-Mich., chairman of the Ways and Means Committee. "We will hold the IRS accountable for its actions." "We must know how many more lies they have been telling and how high up the chain the cover-up goes," Jenny Beth Martin, national coordinator for the group Tea Party Patriots, said in a statement Saturday. "It appears the IRS committed crimes and violated our ability to exercise our First Amendment right to free speech. A simple apology is not sufficient reparation for violating the constitutional rights of United States citizens. Therefore, Tea Party Patriots rejects the apology from the Internal Revenue Service," Martin said. "We are, however, encouraged to hear that Congress plans to investigate. Those responsible must be held accountable and resign or be terminated for their actions." On Friday, White House spokesman Jay Carney said the administration expected the inspector general to conduct a thorough investigation, but he brushed aside calls for the White House itself to investigate. Many conservative groups complained during the 2012 election that they were being harassed by the IRS. They accused the agency of frustrating their attempts to become tax exempt by sending them lengthy, intrusive questionnaires. The forms, which the groups have made available, sought information about group members' political activities, including details of their postings on social networking websites and about family members. In some cases, the IRS acknowledged, agents inappropriately asked for lists of donors. There has been a surge of politically active groups claiming tax-exempt status in recent elections  conservative and liberal. Among the highest profile are Republican Karl Rove's group Crossroads GPS and the liberal Moveon.org. These groups claim tax-exempt status under section 501 (c) (4) of the federal tax code, which is for social welfare groups. Unlike other charitable groups, these organizations are allowed to participate in political activities, but their primary activity must be social welfare. The number of groups filing for this tax-exempt status more than doubled from 2010 to 2012, to more than 3,400. To handle the influx, the IRS centralized its review of these applications in an office in Cincinnati. Lerner said on Friday this was done to develop expertise among staffers and consistency in their reviews. As part of the review, staffers look for signs that groups are participating in political activity. If so, IRS agents take a closer look to make sure that politics isn't the group's primary activity. As part of this process, agents in Cincinnati came up with a list of things to look for in an application. As part of the list, they included the words "tea party" and "patriot," Lerner said. "It's the line people that did it without talking to managers," Lerner told the AP on Friday. "They're IRS workers, they're revenue agents."